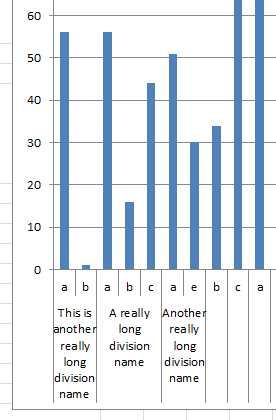 Have you ever had a chart where your Horizontal Category Labels overlap each other and they are unreadable? If you run into this problem, there are a few ways that you can fix it. 1) If you are NOT using the Multi-Level Category Labels, then you can right click on the horizontal axis and choose format axis. 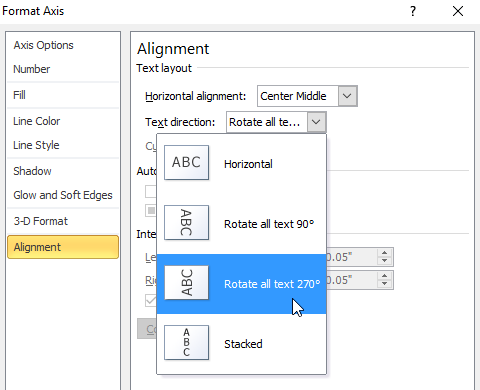 Then change the Alignment to 270 degrees and the categories should fit better. However, if you are using Multi-Level Category Labels, then this won’t work for you as the alignment will only change the upper level and not the lower level as you see above. 2) Another option is that you can always increase the size of the chart until the labels start to wrap in the Horizontal Axis of the chart. 3) Finally, if none of the above options work, you can also try to add hard returns into your legend entries and force Excel to wrap the text at every hard return. I guess a fourth option is to shrink the font size, but that can make a chart very unreadable. 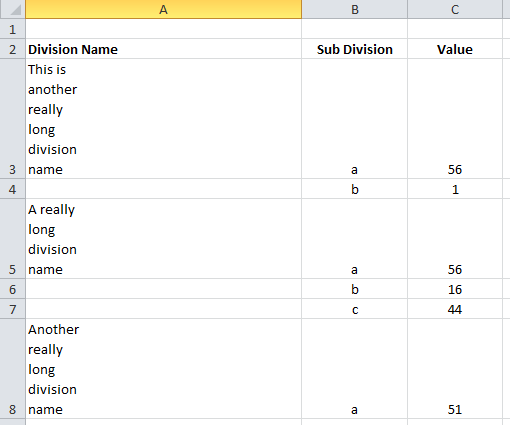 Do you think that it is a Bug that Excel doesn’t change the alignment of all the levels for Multi-Level Category Labels? Let me know in the comments below. Yes! 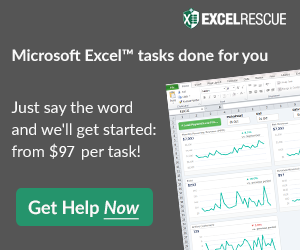 I certainly consider this a bug in this version of Excel. I didn’t have this problem in earlier versions. Hi Pam, I think it is the desired affect, but they should have an option to not do it.